Our two Back Coves – Tenacity (37) and Vigilant (41) have spoiled us when it comes to selecting a destination. Both can plow through 4-5 foot chop and Vigilant has a hard back door and a heater, making even a 50 degree day a cruise day. 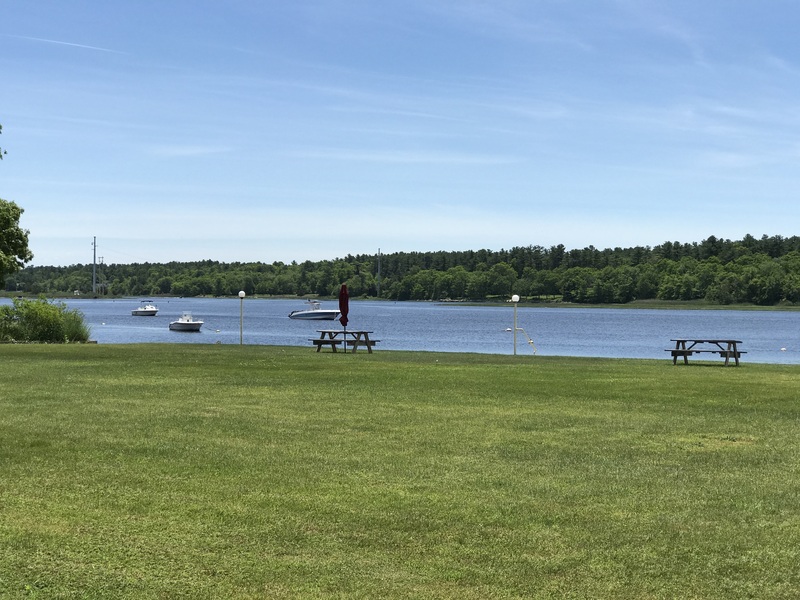 It wasn’t that long ago when when cruised Buzzards Bay in our 26′ Whaler and back then, we had to constantly watch the weather and be very selective when it came to planning a Dock and Dine venue. 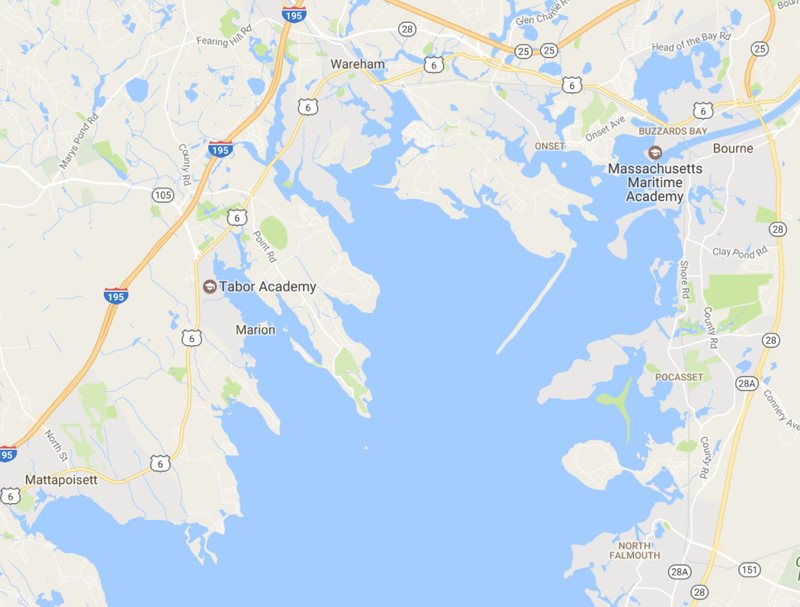 If you look around any Buzzards Bay harbor, you’ll see plenty of 20′ boats yearning to go to sea, but where can they go and get home safely? And chances are if you’re the proud owner of one of these smaller crafts, you may also be interested in a Dock and Dine experience that doesn’t involve spending a ton of dough, re, mi? 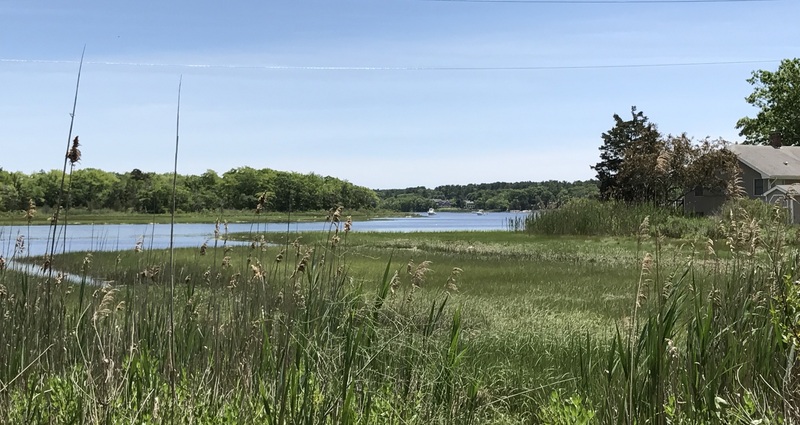 Located in the northwest corner of Buzzards Bay, Wareham is a destination for small boats from Mattapoisett, Marion, and all the small harbors in West Falmouth to Woods Hole. On a typical Buzzards Bay day with a southwester blowing, one can pick their way along the scenic coast lines of Mattapoisett, Marion, and the outside of Bird Island. 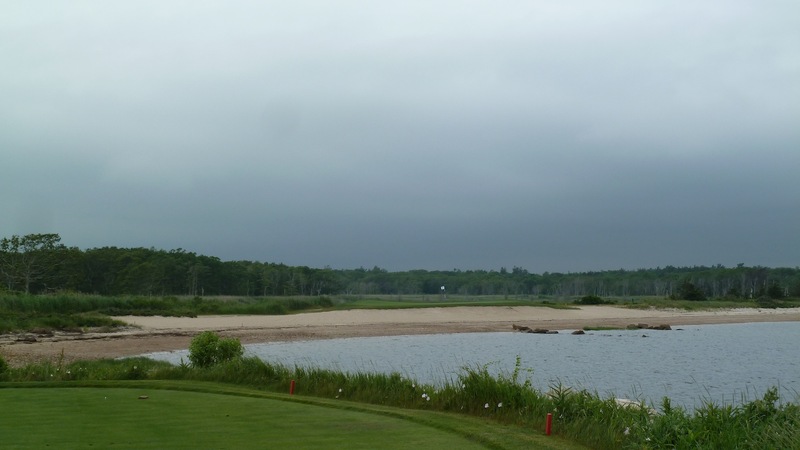 Once around Bird, you can hug the coast an catch views of the storied 3 hole of the Kittansett Club. The water is pretty deep near shore and this is actually one of my secret gunkholes where you can drop and anchor watch golfers on the beach. After Kittansett, there are a couple of beaches and The Great Hill Castle. This is the home of the exceptionally tasty Great Hill Blue Cheese. 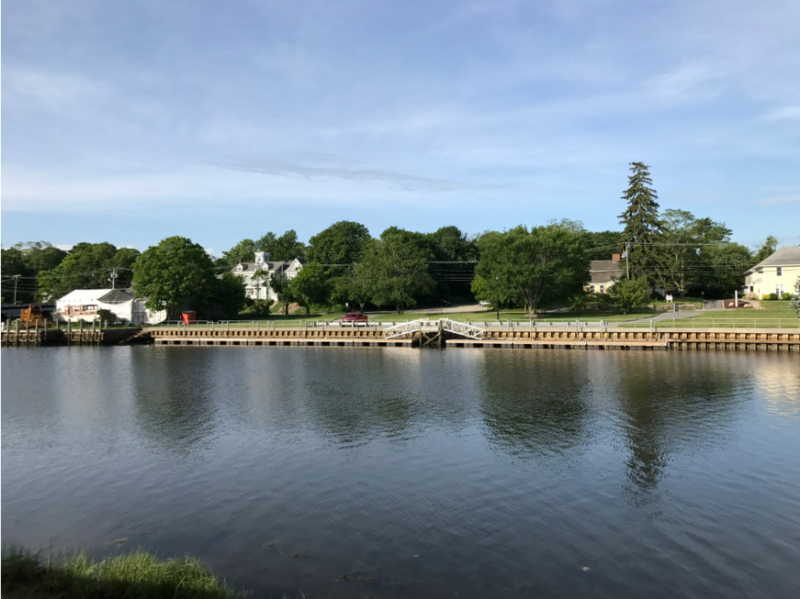 As you approach the castle, you can either take a right and head into Wareham harbor or continue straight and head down the Weweantic River. Let’s start with Wareham harbor. It’s well protected and meandering, so check your charts and remember “Red Right Returner” and you pass Red Nun #10. It is rather shallow to the right of the channel, so stay inside the markers. Once you get into the harbor, it can be tricky to pick out the channel markers as they sit in and around the moorings. At the end of harbor, you’ll see a bridge and the left of that, you’ll see the town pier, which is a total secret! I have spent quite a bit of time on google looking for any information about it and I can’t find it. It seems to be called the Wareham River Sportfishing Pier. A few years ago it had a sign on it that said Use At Your Own Risk, but that’s about it. My guess is that it’s got a courtesy limit of 1 hour, but there is probably never enforced — just don’t stay overnight. I haven’t measured it, but I’d say it’s got 150-200 feet of docking space. It’s got not rub rails, cleats, and IT’S FREE! This end of Wareham is fairly Blue Collar. There is fishing and bait shop, Cumberland Farms, a bank, a pizza shop, and if you’re in a pinch, a liquor store. 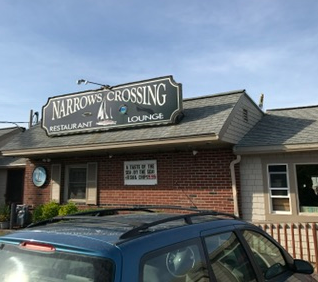 But if you take an immediate right on Main Street and then take another right, you’ll find the Narrows Crossing Restaurant. Although it feels a lot like a local hangout, it’s got a solid 3.5 stars on Yelp and offers all the traditional seafood fare that boaters love. It’s also a 3 serving restaurant with excellent reviews on their breakfast and brunch service. Other than the Black Dog in Vineyard Haven, there aren’t a lot of Breakfast Dock and Dine venues in Massachusetts. 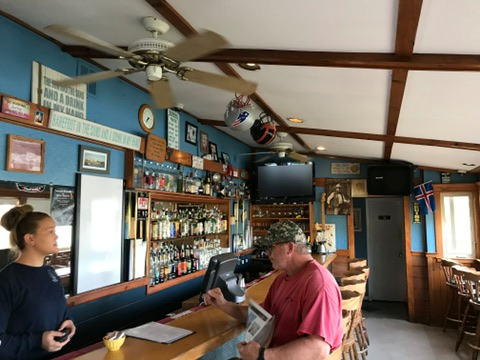 It has an entire wall of tables looking out at the Wareham river and the Sportfishing pier – so you can keep an eye on your boat. It even has a bar that is open until 1:00 AM every night. 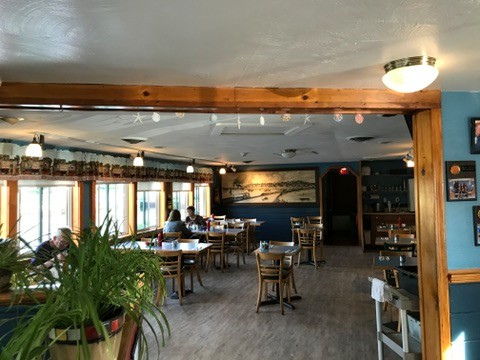 Considering that there are very few water view restaurants on Buzzards Bay and that most fall under the 4 out 5 yelp rating, this place is a very viable Dock and Dine venue. Before we leave Wareham, I want to point out one more delightful boating venue and that’s the Weweantic. As we past the Blue Hill Castle entering the harbor, I mentioned that you could go straight to head up the Weweantic. After lunch at Narrows Crossing, this is an excellent place to chill and enjoy a “floating gunkhole”. While the river is shallow in parts, it does have a very nice set of private red and green cans that will guide you up the the Route 6 Bridge. After you make the first turn, it really feels like a river with some incredible views of homes and pastures. After a few turns, you end up in a small harbor that has a motel with a beach to the right. Unfortunately, it doesn’t look like a place to go to shore, but if you want to drop and anchor and wade in, their is a Dairy Freeze shop and the Gateway Seafood Sports bar just down the road. 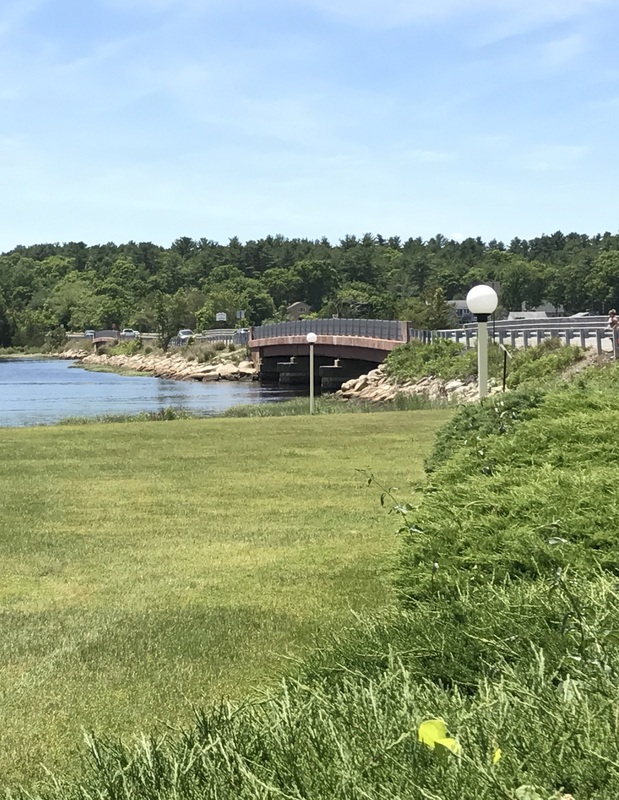 All in all, a Dock and Dine day trip to Wareham has everything you need, a protected harbor, a very good seaside eatery with a view, a river cruise, and mostly importantly, most of it’s free. If you’re on Buzzards Bay in a small boat with a limited budget, head up to Wareham and enjoy!